“In 1982, the United States Border Patrol set up a roadblock and inspection point on US 1 just north of the merger of Monroe County Road 905A/Miami-Dade County Road 905A onto US 1 (they are the only two roads connecting the Florida Keys with the mainland), in front of the Last Chance Saloon just south of Florida City. Vehicles were stopped and searched for narcotics and illegal immigrants. 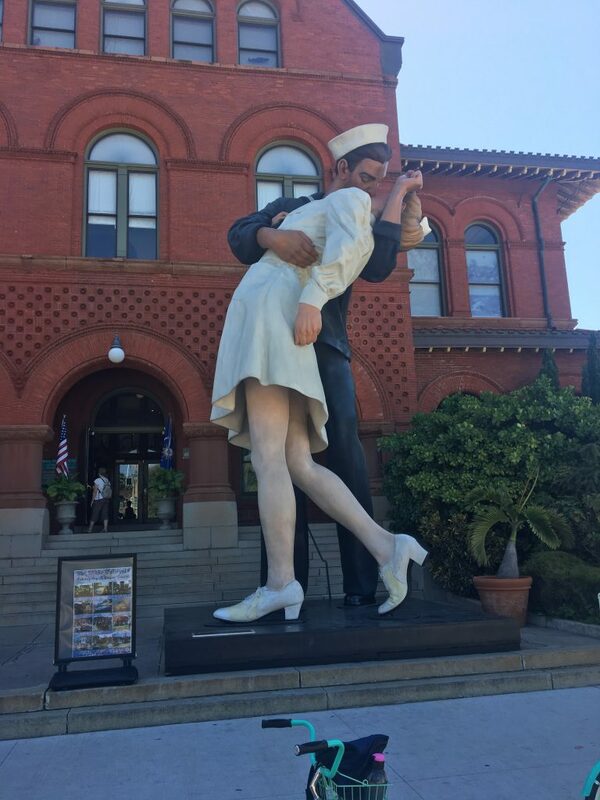 When the City Council’s complaints went unanswered by the U.S. federal government and attempts to get an injunction against the roadblock failed in court, as a form of protest Mayor Dennis Wardlow and the Council declared Key West’s independence on April 23, 1982. In the eyes of the Council, since the U.S. federal government had set up the equivalent of a border station as if they were a foreign nation, they might as well become one. As many of the local citizens were referred to as Conchs, the nation took the name of the Conch Republic. My day was basically just slowly pedaling around the downtown area, eating ice cream and, as always, hunting for the best fish and chips I can find. I found a spot with outdoor seating and live music and hung out there for a few hours eating, drinking beer and listening to music. 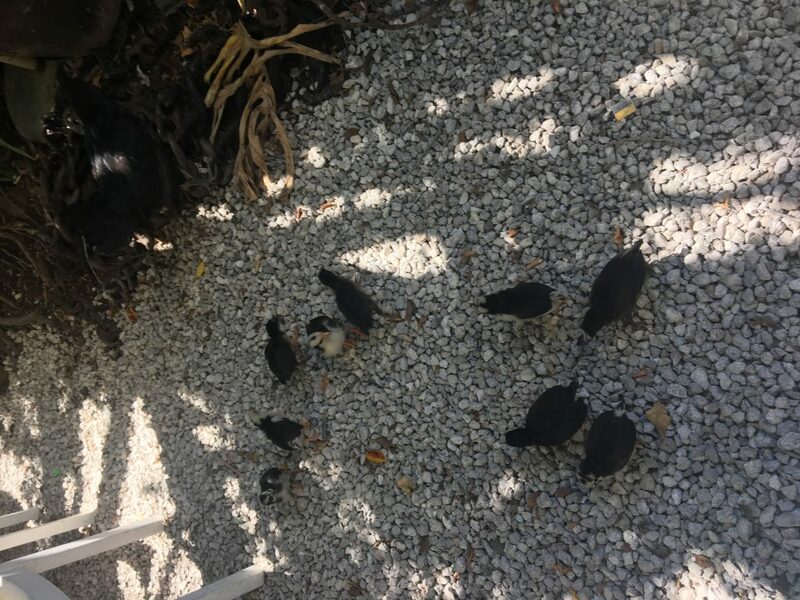 There was this adorable little pack of baby chickens wandering around the place with their mama, the waitress said they’d kind of just taken up residence there so, being the laid back island style people that they are, they just rolled with it let em’ stay. I could get used to this kind of free wheeling lifestyle. After I finished up my food and beer I start slowly heading towards the ferry station. I my bike was feeling particularly difficult to keep moving but I figured I was just being slightly buzzed, food-coma lazy. No. I had a flat tire and I didn’t even notice! I only had about 30 minutes before the ferry started boarding so I had to get it patched up as quickly as I could lest I be stuck in Key West another night (what a terrible thing, I know). It didn’t give me any trouble though and I got to the terminal right on time. So with that I leave you for the evening, friends. Stay tuned for the next edition of James and his Bike! Ohhhhh fort Myers I’m sooooo jealous right now you have no idea…. Looking forward to hearing more about my “one day that city will be my home” ?? The gulf coast is quite nice too. 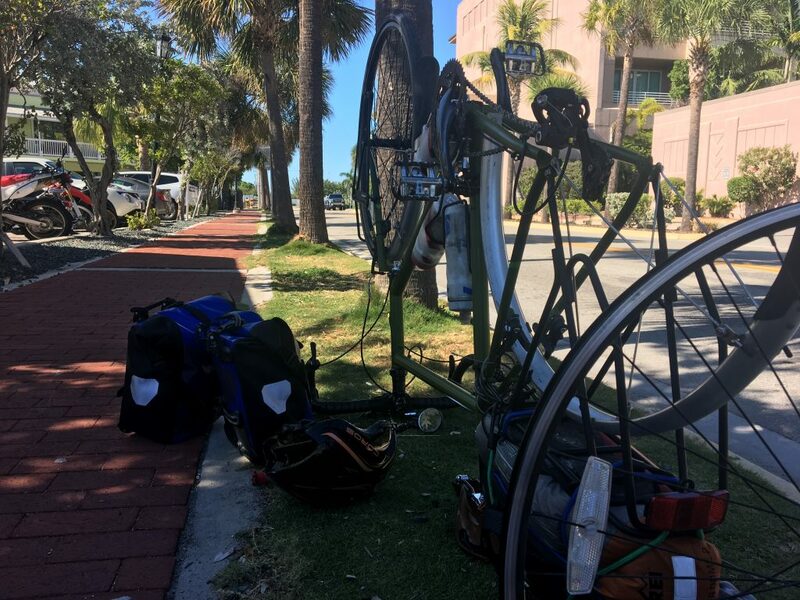 I’ve ridden it starting in Panama City, Florida headed East. 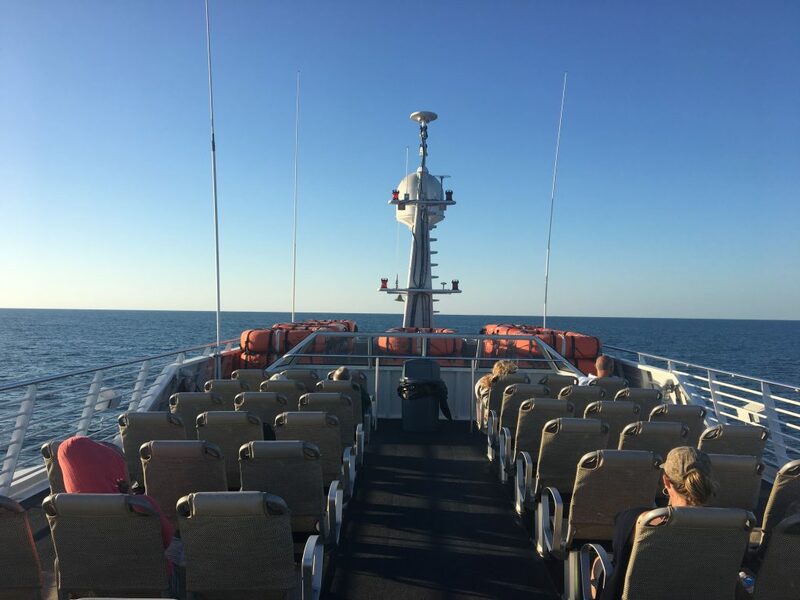 It was lovely through Florida. Alabama, and Mississippi. Louisiana a little less so. If you get on the Souther tier after that, you should look up my friend Karen in Le Compte LA. She is a warm showers host. She has been reading along as I sent her a link to your posts. James, Michael and I would love to become warm showers hosts but was wondering your take on it. DMSO, I’d love your take on it too. We aren’t cyclists and we have a new baby but we would love to open our homes to those traveling. In general, do you find it to be fairly safe? We live in Austin Texas. Anyway, I can’t wait to read what’s in store on the next leg of the trip! Hi Danielle, I’ve asked my riding buddy and warm showers host Karen to comment. She had a guest just last night. A fellow that we meet on one of our tours. Hi, Danielle. I live in Lecompte, LA., & I have been hosting for a few years. It has been a truly wonderful experience. The cyclists I’ve hosted have been friendly, bright, very thankful for what they are provided, funny & all around great guests. Figure out what you are willing to offer (camping, bed, shower, meals, laundry, transportation) and go for it!